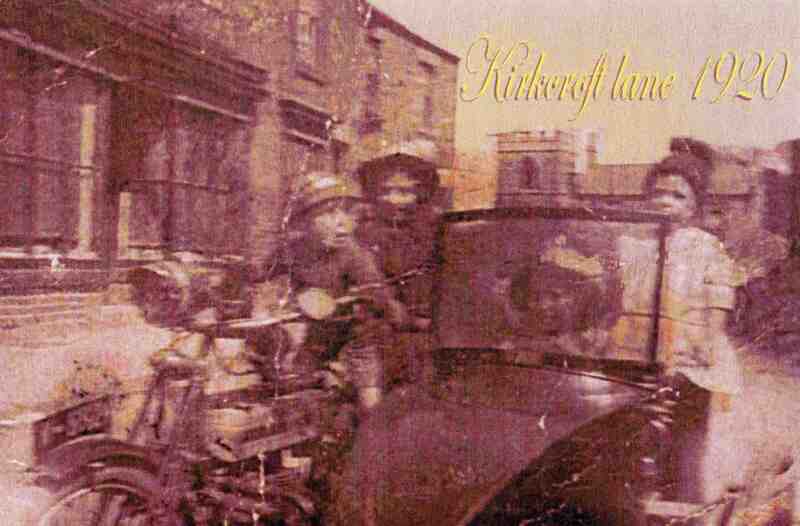 Kirkcroft Lane in 1920. Pictured – Edward Smith,. Haydan Smith, Muriel Smith (Thompson), Audrey Smith (Dawson). Photo courtesy of Jean Rivington.